Australia, that land down under, where just about everyone around the world wants to visit, study, work or just hang out! To learn about Australia, researching the guide books is a great way to find out where to visit, what to do and what you can expect to see, plus a few Australianism’s to help you blend in, like – “G’Day Mate.” A list of interesting creatures that you might be better off not playing with, great beaches, ancient mountain ranges, fascinating cities, awesome road trips, lovely locals, and great cafés, what more could you want? Well what about the tea? So we asked the locals to tell us their favorite top ten tea houses and tea shops in Australia. Australian’s love of tea goes all the way back to the early colonial days. In fact, what’s known as the “First Fleet,” sailed into Sydney Harbor in 1788 with tea on board it’s ships. These tea leaves were possibly the first in Australia. During those early days of colonialism, as in Britain, tea was certainly seen as a luxury commodity and only available to the very wealthy. By the 20th century, Australians were to become one of the highest consumers of tea per capita in the world. Then, with the emergence of espresso style coffees, and the café culture scene in the late 1980’s & 90’s, tea certainly took a back seat. Today, Australia like so many other parts of the world is witnessing a dramatic growth in interest towards leaf tea and tisane, which are being accompanied by new fashionable tea shops and tea houses (for the lack of a better word). Unilever’s unique T2 tea retail outlets were born on the streets of Melbourne, Australia but today are opening around the world, including in the UK, the US, and in New Zealand. 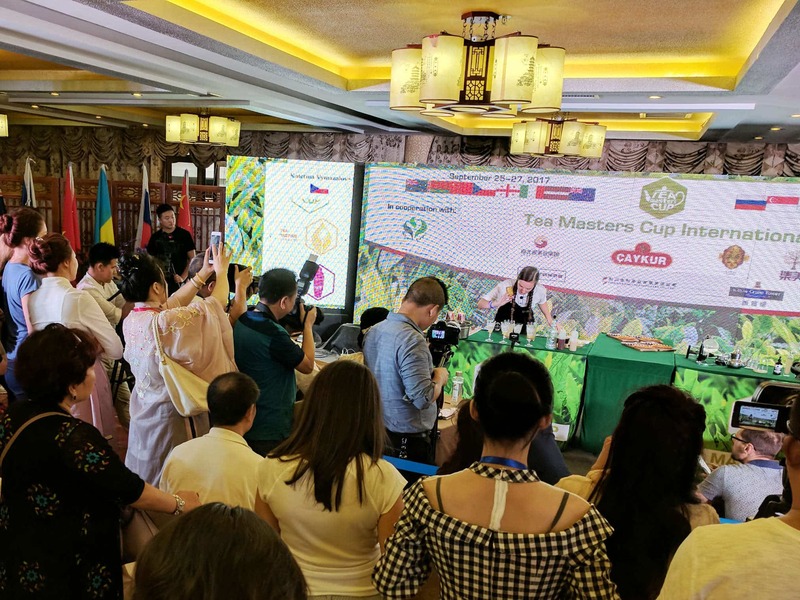 Then, with the ease with which tea finds internet retailing so suitable, the global tea retail market has become enormous. Products, which not so long ago would have taken months to reach the consumer, today, can be brewing in your own teapot in weeks, fresh from the gardens. An industry which has stayed relatively unchanged for the last few hundred years, is now riding the wave of the technological age by embracing the internet and utilizing modern logistic solutions. But where does the Australian tea drinking public buy or drink their precious brew? This was how Felix Booth commented on his nomination: “I would like to nominate Impala and Peacock for the best tea shop and best tea house for 2015! They run a stellar show and have excellent quality tea to match!” Impala & Peacock fits snuggly into the Sydney Rd. Brunswick scene, Melbourne’s inner city hipster, bohemian, and ever so slightly funky suburb. The eclectic surroundings with a designer glam look, creates the perfect surrounding for their exclusive high teas or special tea events, presented by the well trained and enthusiastic team. Sarah de Witt, Tea Sommelier and owner of Impala and Peacock, dreamed up and has now created this spectacular tea house. Sit, relax and enjoy the teas, conversation and the healing aspects of Tian He. Kent-Andrew: Steedman creates a unique experience, through tea ceremonies, music, meditation and various alternative healing methods from many parts of the world, and their cultures. The doors swung open to this uniquely exciting tea house in October 2015. Situated in Sydney’s newest suburb to be given the sparkle of the fashionable and trendy wand, Rabbit Hole Tea Bar feels right at home amongst the bespoke bakeries, galleries and cafés. This clean cut designer-crafted tea house would have to be one of Australia’s most inspirational at the start of 2016. As the name suggests, Zensation offers tea lovers not only excellently crafted teas, served peacefully in a relaxed manner but a tranquil oasis to escape the hustle and bustle of Sydney. Sit and enjoy traditional dumplings and exquisite teas, and soak up the Zen experience. On the corner of Burke Rd and Broadway, Camberwell. You’ll find this bright, welcoming tea house, where you can sit and enjoy a beautiful selection of mainly Chinese and Taiwanese high quality and handcrafted teas. Pop in and say G’Day to Tania and chat to her about which tea to select for your cha experience. RMIT fashion students furiously knitting up a storm, fuelled by KombuchAID iced tea and a deep love of handicrafts…. A colleague explained walking into Porcelain as “walking into a warm hug”. Described as a home from home feel, offering a relaxed atmosphere with a seasonally changing tea menu and tempting morsels to accompany your tea. You are openly encouraged to slow down, sip your tea and just watch the world go by, take time for yourself. Canberra’s very own highly awarded tea house, located just outside the city at Gold Creek. Adore Tea House offers the tea lover over 200 specially selected teas but locally is famous for its “High Tea Service”. Grab some friends and make a day of it. King Street, Newtown is synonymous with bohemian Sydney, reflecting alternative chic, with fashionable cafés and restaurants. T Totaler Tea House, allows you the opportunity to soak up the Newtown experience while sitting and enjoying a tea from their beautiful selection. Looking for a hand-picked tea served in the traditional way according to its origin? Yes. Then Traveling Samovar in the Melbourne suburb of Carlton North is a must visit tea house for you. Proudly offering a full range of Larsen & Thompson teas with a few of their own signature teas, this is a tea traditionalist’s dream tea house. This Chinese contemporary art establishment offers a unique experience and insight into Chinese art. While it’s tea house offers the opportunity to contemplate quietly or with friends in a relaxed atmosphere. Chinese and Taiwanese teas are on offer with the added treat of handmade dumplings. This was how Vincent Brincat commented on his nomination: “I would like to nominate The Tea Centre Sydney as a top ten provider of fine teas. I have been one of their customers for many years and have been delighted with their service, quality of teas and knowledge. They are a quality tea house!” The Tea Centre, Sydney is part of largest Australian owned retail tea business. The new Sydney shop opened recently and is the chain’s third location in 21 years. With over 185 different teas on offer, it’s the job of the experienced team members make it a pleasure choosing your tea. Situated right in the center of Canberra city on Bunda Street, The Canberra Tea Centre is a part of the same retail business as the Sydney Tea Centre and offers the same selection of over 185 teas. Again the Canberra team offer knowledgeable advice on the various teas on offer, and are happy to assist you with the enormous selection of tea wares and accessories. Impala and Peacock’s beautiful selection of teas and tisanes, presented impeccably in their own designer packaging, compliments the space in which this beautiful tea house/tea shop operates from. They also offer individual blending of teas and tisanes for you to create your own blend. Their teas are not available online so a visit is a must. Dark amber pharmaceutical jars are the vessel of choice at T Totaler, for their gorgeous range of teas and tisanes from various parts of the world. They also carry a 100% Australian grown range. Owner Amber Hudson took her research to over thirty different countries creating her range, while still promoting locally grown produce. Right in the heart of Melbourne, Lupicia presents the tea enthusiast with a visual and aromatic extravaganza. A well-balanced selection of specialty and blended teas with a selection of over 400 teas. The impeccable service and knowledge of the Lupicia team reflects the quality of this global franchise. Rabbit Hole’s range of “Pure, Floral, Fruity, Zesty, Spicy and Creamy” teas and tisanes. Rabbit Hole’s brand is clean cut and their teas are designer presented in beautiful packaging. The oversized smelling bowls are such a striking feature of this shop and create an exciting space. Cha Tea Providores is situated in The 4217, a collective of food, art and lifestyle outlets in a unique urban village environment. Cha looks to provide tea lovers with a contemporary tea house experience, described by one as “A Disneyland for tea lovers”. Their wall of tea is a visual hit with everyone visiting their shop. Cuppa Cha offers a superb range of Chinese and Taiwanese teas. The teas are sourced and selected by owner Tania Stacey. Tania’s wealth of experience and passion for tea, creates a collection on offer, of unique connoisseur teas. Head north from Melbourne, towards the New South Wales boarder and you’ll come across the town of Echuca. Mad Hatter’s offers their own extensive range of teas and tisane plus a full selection of Harney & Sons Teas. The range of teapots and tea wares would most certainly make Alice, March Hare or Dormouse feel right at home. Tea Leaves is nestled in the scenic Dandenong ranges is the picturesque mountain village of Sassafrass. Here among the eucalypts and pine trees is not where you would expect to find this amazing tea shop. With a selection of over three hundred teas and tisanes, Tea Leaves offers something to surely suit every taste. The drive is breathtaking; the shop is spectacular. These two lists reflect the votes of the tea drinking public. They don’t mean that there aren’t other fabulous tea houses, or tea shops to be discovered in towns and cities all around Australia. These precious establishments are tucked around a corner, or sited in some obscure suburb, or in a particular one horse town. But wherever they are, visit them, make a purchase, and let tea drinking friends know about them. Because without them we will lose the experience of dedicated, and knowledgeable individuals, who work in these unique environments and provide fabulous tea experiences. Very focussed on the East coast. What is the best tea house in Perth and why is it unable to make the list? Hi Christine, thank you for your comment. The list was made up by the general public voting for their favourite tea house and tea rooms. Some of the tea houses/rooms got right behind the vote and asked their customers to vote for them, with varying degrees of success. I too noticed that the initial votes were only coming in from East coast establishments and made a concerted effort to get Tasmanian, South Australian, Western Australian and Northern Territorian establishments to get involved. I spent days emailing and phoning around the country with very little response. I was even told by one establishment, quote “they don’t get involved in that type of thing” – what promotion? So, I felt as frustrated possibly as you did when you read my article. Hopefully in the future I can convince more tea establishments to get involved and their customers to vote for and identify good tea venues.